At 125 Greenwich Street, a new skyscraper rising in Manhattan’s Financial District, Bizzi & Partners Development is turning the typical condominium model on its head. 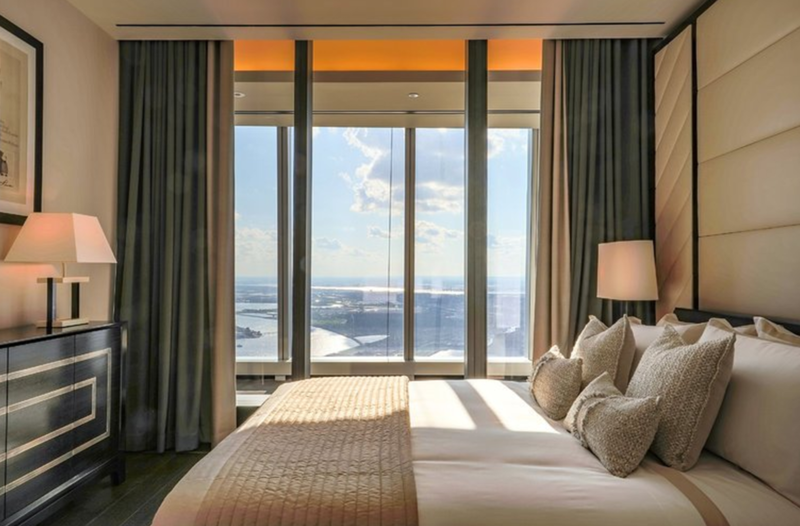 The amenity spaces, often placed on a building’s lower levels, are instead at the very top of the 912-foot-tall structure, on floors 86 through 88. And while developers tend to put larger apartments on higher floors, this building reserves room for studios on upper levels. In fact, there are no studio apartments below the 61st floor. Rather than impressing with wide-open spaces, many of the apartments are on the smaller side, starting at just 418 square feet. The apartments and common areas are designed by March & White, a design firm with experience working on the interiors of superyachts and London private members clubs. “We used our background in designing superyachts, and applied our learning of how you design small spaces to the interior of the smaller units here,” said Elliot March, who runs the firm with James White.